Prussia suffers under the yoke of Napoleon; the mood of the people is brewing; the day of freedom approaches ever nearer. Many of the kingdom's officers think King Friedrich II and his leading advisers are hesitating too long, so Major von Schill decides to act on his own. He hopes that his heroic actions will lead to the outbreak of a war of liberation in Prussia. But von Schill's troops soon find themselves defeated by a superior band of Dutch and Danish troops. The king officially condemns von Schill's actions and on Napoleon's orders, von Schill is to be shot along with eleven of his officers. One of those officers, Lieutenant Heinrich von Wedell, manages to escape a death sentence and is instead sentenced to life-long hard labor. 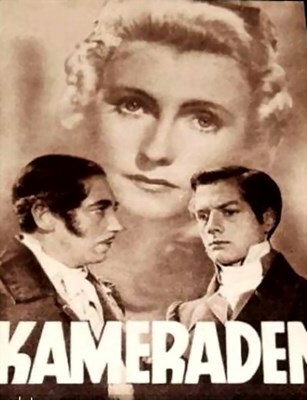 When von Wedell's brother Karl, who was against von Schill's actions from the beginning, finds out about Heinrich's fate, he decides to make a risky move to help him. Quality of the film corresponds to soft VHS quality, but watchable. 89 minutes long. Varying quality (see description).